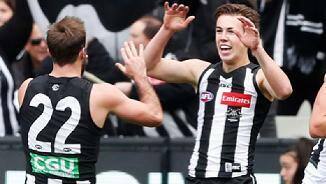 Callum Brown's first game in Black and White is one of five talking points stemming from Collingwood's four-point Queen's Birthday loss to Melbourne. Collingwood has finalised its line up for Monday's Queen's Birthday clash with Melbourne. Debutants, comeback kings and a bevy of injuries headline the changes to the Collingwood team that will take on Melbourne this Monday. Brown went from father-son favourite of Collingwood 1990 premiership star and former captain Gavin, to Magpie in his own right in 2017. The midfielder had a junior career which included a three-goal haul for the Eastern Rangers in the Preliminary Final of the TAC Cup, four games for Vic Metro at the national championships and an U18 All-Australian nod. 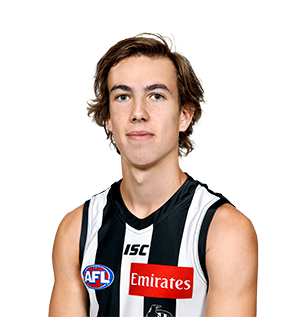 His dreams were then reached as he joined Collingwood and quickly impressed with clever decision making and poise with the ball in hand. Brown burst out of the blocks in his first full pre-season in Collingwood colours. The father-son recruit was already familiar with the surrounds of the Holden Centre after growing up in the Daicos father-son Academy, but quickly became comfortable alongside his older Collingwood teammates. A bout of glandular fever undid much of the work Brown did in an impressive pre-season campaign. He missed a few weeks of training, however wasn’t short on advice on how to deal with the issue. 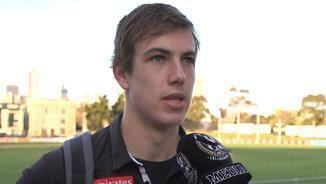 Scott Pendlebury and Tim Broomhead both suffered the same illness in their first years at Collingwood. Brown returned in time for the beginning of the VFL season and quickly improved during six straight games under new coach Jared Rivers. After collecting 29 and 31 disposals against Werribee and Box Hill, his name begun to be mentioned as Collingwood’s first debutant of the season. The inclusion came on the blockbuster setting of a stand-alone Queens Birthday clash against Melbourne. Another AFL game followed after the mid-season bye, before Brown added to his tally three more times in the back-end of the season. In six games, the father-son recruit has played Port Adelaide twice and Melbourne twice, and will look forward to expand his horizons in 2018 and beyond.